Lhasa is the major nerve center of Tibet. Explore Lhasa Tour package is the shortest touring package in Tibet put forwarded by the Bharal Adventure Pvt. Ltd trekking and tour company based in Nepal. Witness the cultural, religious and architectural brilliant attractions of the Lhasa while traveling to the roof of the world. Explore Lhasa Tour starts with the flight from Kathmandu to Lhasa. You can choose to directly arrive in Lhasa from your home country or from mainland China. Bharal Adventure representatives and Tibetan partners will guide you to the various attractions of Lhasa. The major attraction of Lhasa is the Potala Palace. During the 17th century, this ancient palace was built. It is also home to spiritual Dalai Lama. Especially, After Dalai Lama left the Tibet it has become the major touristic destination. We can see the entire view of the Lhasa city from the Palace. The Norbulingka Palace is the summer home of Dalai Lama. So, don’t miss another fascinating place to visit. Tibet Museum visit also gives you immense information regarding the Buddhism and ancient history of Tibet. Therefore, your tour will be remembered as the heritage travel for lifelong. The oldest sect monastery of Tibet the Ganden Monastery helps you realize that Tibetans were much more advanced in old days as well. Furthermore, the Drayerpa Cave where around 50 different mini caves for the Lamas to meditate. The sightseeing in Drepung Monastery, Sera Monastery, and Jokhang Temple too will create the lots of vibrancy inside the tourists. 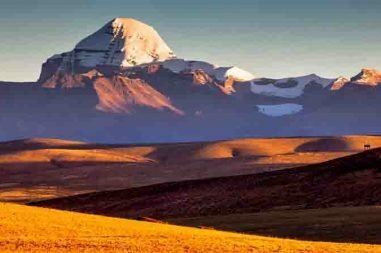 You can move towards Kailash tour from here as well. 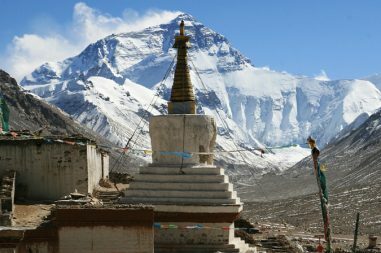 Book the Explore Lhasa Tour with the reliable Trekking and Tour Company based in Nepal the Bharal Adventure Pvt. Ltd. Your holiday in the Lhasa will be the mesmerizing memory of your life. The flight from Kathmandu to Lhasa or from your home country will take place in the first day with the magnificent view of the Everest, Kanchenjunga and other Himalayas from airplane. Upon arrival in Lhasa Bharal Adventure representative will introduce you to Tibetan guide and transfer you to the hotel. Abundance of the rest is required as you might catch with the altitude sickness. After breakfast the iconic places of the Lhasa will be visited on this day. 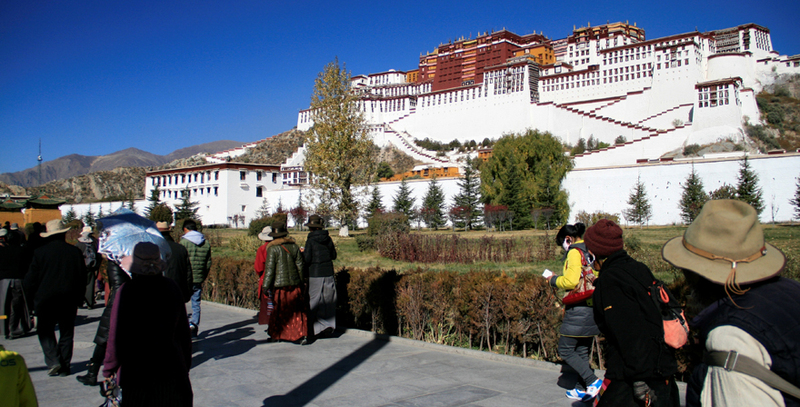 The visit of the Potala Palace and Norbulinka Palaces in Lhas could be mystical atmosphere. The palace was built during 17th century and can have the view of entire Lhasa city. Norbulinka used to be the summer home of Dalai Lama. The visit of Tibet museum is the last activity for the day. After breakfast the visit of the oldest monastery of Tibet at the top of Wangbur Mountain the Ganden Monastery takes place. This monastery has the finest murals and sculptures. Drayerpa Cave is another sightseeing destination as there are around 50 caves for the meditation purpose to Lamas. On this day after breakfast sightseeing will be done on Drepung Monastery, Jokhang Temple, Sera Monastery and Barkhor Bazaar. Drepung was built around 14th century. It is believed that it used to have the shelter for around 10000 monks. Sera Monastery is the sacred site where you can find the information about the mysteries of Tibetan culture and Buddhism as well. Barkhor Bazaar is very happening place with open stalls, pilgrim’s crowd and it is also regarded as the nerve of Lhasa. Bharal Adventure team will bid farewell to you from Lhasa or you can take flight to Kathmandu for further trip with us. You will have amazing memory travelling with us.